When a car pulls into a California Smog Check station, up to and including a participant in the STAR Program, the service attendant is required to put the car under a range of tests. Anyone reading this blog is probably a very technical person, much more technical in an automotive and SMOG check sense then we are as attorneys who work for people who have issues vis-à-vis the Bureau of Automotive Repair. And so we are sure that you are aware of all of the requirements that you must perform when a car pulls up to your shop for a SMOG check. 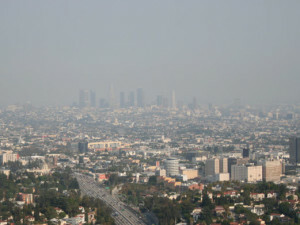 Smog, of course, it has to do with air pollution in California, and the origins of this program, have to do with the fight against pollution which started in the 1960s and 1970s in Los Angeles. So the primary origin of the smog check program was the fight against pollution. Now, as anyone can tell you, government programs and government agencies have a way of expanding over time, and this expansion may or may not be a good thing, depending on your perspective. As they say, where you stand it depends on where you sit. If you are a government official at the Bureau of Automotive Repair, or perhaps a zealous California consumer, you might believe that safety is as important as the fight against pollution. And, everyone would agree, of course that the cars on the highways and byways of the great state of California should be safe. They should be safe both for their occupants, and the other people on the highway. However, as a technician or an owner of a SMOG check or STAR Program station, you probably realize that as part of your inspection you are required to inspect many of the safety elements of the car. For example, the testing requirements during a brake and lamp inspection. An Increasing Focus on Brake Lights and Brake Systems by the BAR? So, in our dealings with the Bureau of Automotive repair, this seems like a circuitous route to get us to the gossip and rumors, as well as some of the inquiries we are receiving these days. It has come to our attention, for example, that there seem to be cases in which Bureau of Automotive Repair undercover cars may be coming into smog check stations with defects that have been set up in their brake systems and lighting systems. In these cases, and we are going to leave aside the issue of whether this is entrapment or not, you are best reminded to always check the brake systems and all the lamps. The reason being, that these very surreptitious undercover cars, may be being sent out with problems not only in their smog check systems but in their brake and or light systems. Now, again leaving aside the issue of the legal problems with the Bureau of Automotive Repair and how they enforce the regulatory ecosystem in California, the issue is just that in some situations it is now possibly not only the smog check components that may be getting you or your peers into trouble but also it may be the vehicles lamps and or braking systems themselves. We are experienced in criminal issues vis-à-vis the Bureau of automotive repair, as well as the issues of administrative law. If you are encountering issues with respect to the Bureau of automotive repair, you are of course recommended to reach out for a free consultation. Every situation is unique and different, and of course any blog post cannot substitute for the advice of a trained attorney. Another first step when it comes to safety, after all, is to reach out for professional and expert advice. Smart people are willing to pay for the advice of other smart people.